According to Bible prophecy, there will be a Great Apostasy (falling away) of the Church and Believers in the Last Days. All pieces of the puzzle have fallen into place. Gods hand is active and can be seen in the new found riches of Oil and Gas in Israel and the formation of the New World Order. Christianity today has eroded away, not by the number of people who claim to be Christians, but by their walk in faith and acceptance of the Holy Spirit. In the United States and Europe, liberalism has led to increased Christian Secularism. Christians have long since stopped participating in traditional Spirit filled meetings and are attending church only as a social event. Grandparents tell stories of the good old days, when people were healed, souls were saved and meetings lasted until midnight. Communities attended small churches, or even had church at someone’s house. Does your Church invite the Holy Spirit into fellowship? Do people experience the gifts of the Holy Spirit as is defined by God? 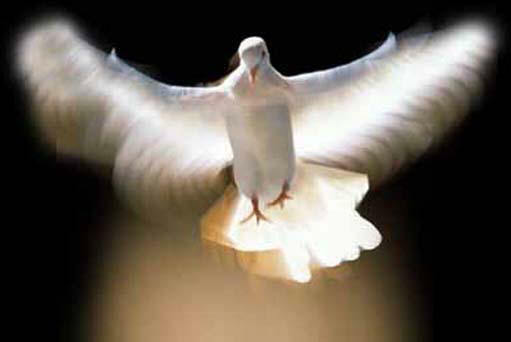 The Holy Spirit is the spirit of God. He is eternal, omnipresent, has a will, and can speak. He is alive. The Spirit bears witness of Jesus (John 15:26). The concept of a shared Spirit of God is one of the hardest things for man to understand. We think of God as a Person, however he is actually beyond our understanding. He created the universe, named the stars and set the planets in motion. He knows the number of hairs on your head (Luke 12:7). God gave a part of his spirit for us through his Son Jesus as a sacrifice, so that we might live after this flesh body dies. 1 Corinthians 12:7 But the manifestation of the Spirit is given to every man to profit withal. 8For to one is given by the Spirit the word of wisdom; to another the word of knowledge by the same Spirit; 9To another faith by the same Spirit; to another the gifts of healing by the same Spirit; 10To another the working of miracles; to another prophecy; to another discerning of spirits; to another divers kinds of tongues; to another the interpretation of tongues: 11But all these worketh that one and the selfsame Spirit, dividing to every man severally as he will. Will the Holy Spirit be taken away in the Last Days? The Church is ripe with Apostasy. How long will it be until the Antichrist make his appearance? Are you ready? Revelation 6:9 And when he had opened the fifth seal, I saw under the altar the souls of them that were slain for the word of God, and for the testimony which they held: 10And they cried with a loud voice, saying, How long, O Lord, holy and true, dost thou not judge and avenge our blood on them that dwell on the earth? Psalms 13:1 How long, O Lord? Will you forget me forever? so if the Holy Spirit is the restrainer then do you believe in order for it to be removed, the rapture has to take place before? because the scripture then reads for that day shall not come until there is a falling away and the man of lawlesssness is revealed so I believe Christians will be here on earth when he is in power to make war on the saints of the Most High God! Yes there are gifts of the spirit on the earth today! 😊 Thry are found within the church of Jesus Christ of Latter-day Saints.